Comment: We currently have treated pine siding on a pier and beam. I am looking for hardiboard lap siding on three sides of the house and shingle-cut random siding on the front. Also curious about faux stone veneer for the skirting in the front of the house. Comment: Replace one side with hardy board & paint. Comment: The upstairs patio area siding has rot and should be replaced. We would like to use James Hardy siding. Comment: I would like to get an estimate for replacing siding for upper level siding on house. Comment: Mobile home 28' x 72' with what looks like Masonite siding that has been damaged due to excess moisture. I need someone to replace, repair, or put up new siding and seal to prevent future damage. Mabank Siding Contractors are rated 4.69 out of 5 based on 197 reviews of 12 pros. 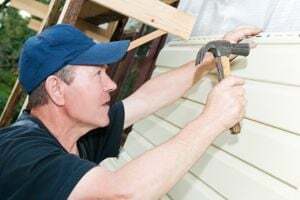 Not Looking for Siding Contractors in Mabank, TX?